!! Chilton Villas B and B, website design Worth the wait? Home »case study»Chilton Villas B and B, website design Worth the wait? 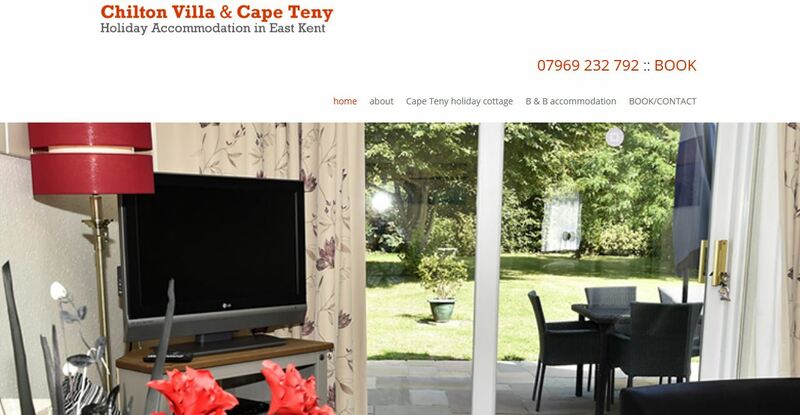 We’ve been assisting B and B accommodation owners Tye and Diane at Chilton Villas in Worth for the past 6 months with the web design requirement. We fully understand that building a new website design for some clients is bewildering and assist in plain English all the way through the design process. Having established the web page requirement we asked the client to supply new imagery and text content. We also set-up a demo site so the client can track and advise any changes they require. Working closely with Tye we managed to secure a fantastic gallery of images, upgrade the copy and put a design together that is mobile friendly, easy to edit and future proof using the WordPress design platform.